As some of you might already know, I’ve moved from Los Angeles, California to Tucson, Arizona. (If you don’t know that story, you can read it here.) While I’m not exactly homesick for Los Angeles, I do miss the company of the friends and family I left behind. To help mediate any loneliness I might feel, I’ve taken to sending cards and letters in the mail. With watercolor paints, I can share the magic of the desert around me and with words, I can express just how much I love and miss them. These tiny pieces of art are snapshots of my experience of this fleeting, yet wonderful, moment in my life. They hold the images formed in my mind and the paint mixed on my table. Through the mail, I can send something I can’t over the delicate strands of the interwebs… a piece of myself that I’ve made with my own two hands. Of course, since it’s me… I decorate everything I send. The letters, the pictures, and even the envelopes. Yeah, I’ll admit to being a little obsessed with sticking pieces of paper to other pieces of paper, but hey… I think these turned out pretty cool. These days, I don’t have a lot of money to throw around, but for the cost of a stamp or two, I can feel closer to the ones I love and to me… that’s priceless. 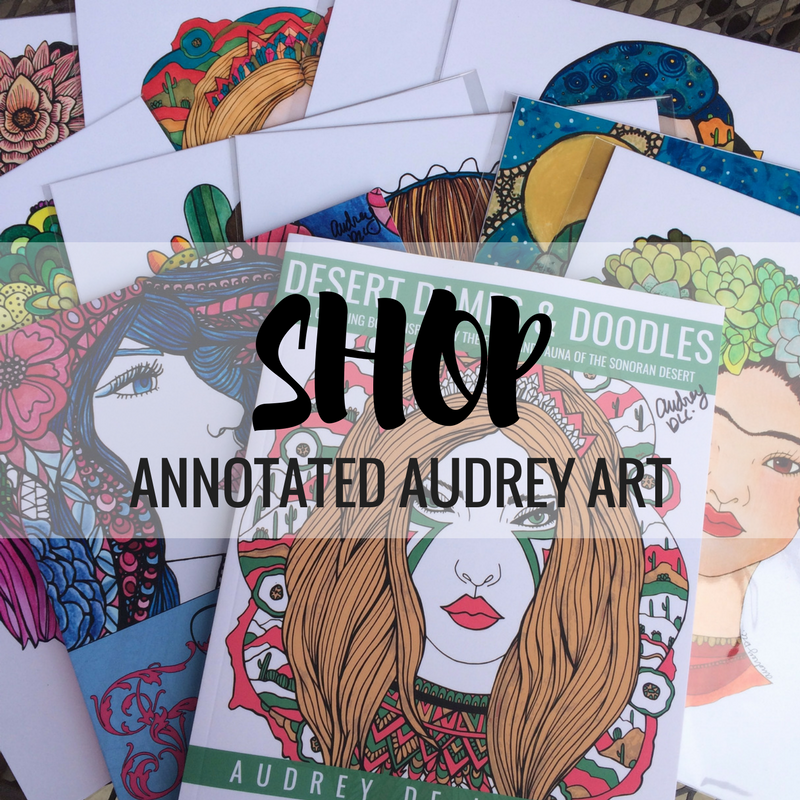 Check me out on Instagram (@annotatedaudrey) for updates about my adventures or for sneak peeks of new art I create!